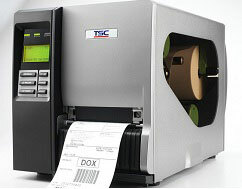 The TSC TTP-344M Plus is part of the TTP-2410M Pro Series, and it emphasizes high powered printing. It comes with standard support for 600 meter ribbons, and has a large 6-button LCD display for ease of use. With Ethernet, USB 2.0, serial and parallel connections, you’ll never have an issue configuring the TTP-344M Plus properly. And since TSC ships every printer with the TSPL-EZ firmware, it’s easy to program your printer to do exactly what you want. 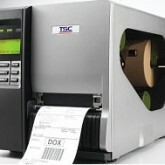 The TTP-344M Plus also offers 300 dpi print resolution. TTP-344M Plus Printer Thermal transfer 300 DPI 6 ips Metal Industrial 8 inch outer diameter Medaia USB Serial Parallel Includes US Power Cable USB Cable and Bar Tender CD.